There are a couple of cool features in this new launcher. For starters, it has an app drawer, which is a rarity for Xiaomi. The lack of an app drawer has been a key feature of MIUI for a long time. The drawer also features automatic grouping of apps according to categories, hidden apps space, and support for third-party icon packs. Xiaomi said the launcher would be available for other devices in the Play Store starting August 29th, but you can download it right now if you have an existing Xiaomi device running MIUI 9 or MIUI 10. We downloaded and installed the new launcher on the Xiaomi Mi Note 2 running MIUI 9.6 and it installed just fine. 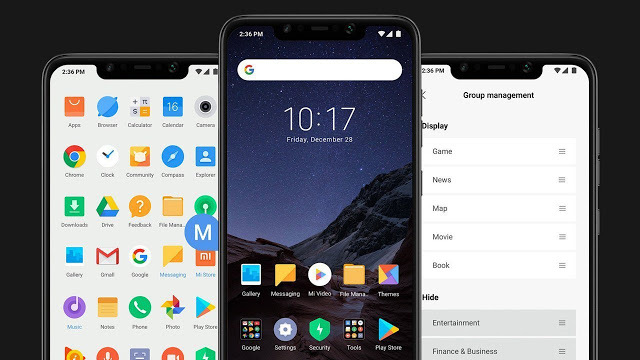 Poco Launcher New version released!